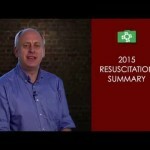 Resuscitation Council 2015 recommendations we released last Thursday and we have studied the latest Resuscitation changes and are changing over to the new recommendations on our courses very soon. The recommendations on CPR change every five years. On the 15th October 2015, the European Resuscitation Council, ILCOR and UK Resuscitation Council announced the 2015 guidelines. Our training courses at ProTrainings will shortly follow the ERC and UK 2015 recommendations to ensure the latest guidelines are including in our online and classroom courses. It’s also re-enforced, the importance or recoil. By allowing complete recoil of the chest after each compression results in better venous return to the chest and may improve the effectiveness of CPR. CPR providers should, therefore, take care to avoid leaning forward after each chest compression.